The following update from Dr. Leroy Hulsey was posted today on WTC7Evaluation.org. AE911Truth is grateful to the hundreds who have supported the UAF WTC 7 study financially and to the thousands who are eagerly awaiting the release of the UAF WTC 7 report. 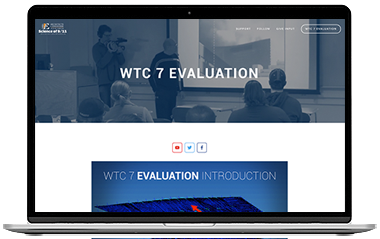 The University of Alaska Fairbanks hosted a public presentation on an ongoing study into the collapse of World Trade Center Building 7 on September 6, 2017, in Schaible Auditorium. UAF researcher Leroy Hulsey is leading the study. He presented the findings outlined in his team’s September 2017 progress report, which was released the same day.